If you are need of an affordable smartphone that will serve you well in handling day to day phone activities under $200. Then you should consider the new budget device from the South Korea company. 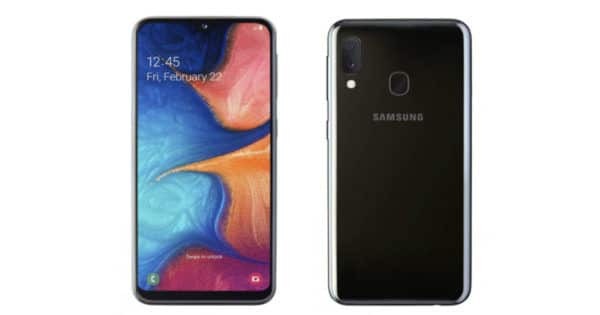 The Samsung Galaxy A20e as the new suggest is a mid-range smartphone with modern body design. The handset is the affordable version of the Galaxy A20 that was launched some times ago. The good news is that it still parades similar body design with the later offering combo cameras and a fingerprint sensor. In terms of body design, the phone is looking nice and attractive. The Galaxy A20e is built to be premium and it features a decent body material that will survive the test of time. As a budget device, it’s built with all plastic measuring 147.2 mm x 69.5 mm x 8.3 mm in dimensions. The phone is available in multiple colors that include Black and White colors. On the front, it has a waterdrop notch that offers a screen size of 5.8 inches under IPS, LCD capacitive touchscreen. It has a screen resolution of 1560 x 720 Pixels and 299 PPI density. The Galaxy A20e packs the trending 19.5:9 Aspect ratio with display protection and it has 81% screen to body ratio. On the camera, the phone features combo rear cameras of 13 Megapixels f/1.9 + 5 Megapixels f/2.2 working together to deliver beautiful shots even in low light condition making use of the dual LED flash on board. It has a brighter aperture and it’s capable of shooting up to 1080p videos resolution at 30 seconds per frame. For selfies, the Galaxy A20e has a front snapper of 8 Megapixels with f/2.0 which is also for video calling. On the inside, there’s Exynos 7884 Octa in charge with an octa-core processor that clocked at 1.6GHz and ARM Mali-G71 for graphics. The handset has 14nm built process technology with the latest Android 9.0 Pie operating system. The smartphone is available in 3GB RAM with an internal storage of 32GB. You can still expand the memory with micro SD card up to 512GB. The sensors on the phone include Proximity Sensor, Accelerometer, Compass, and Fingerprint (Rear Mounted). There are two slots for two Nano SIMs and they also have support for 4G data. 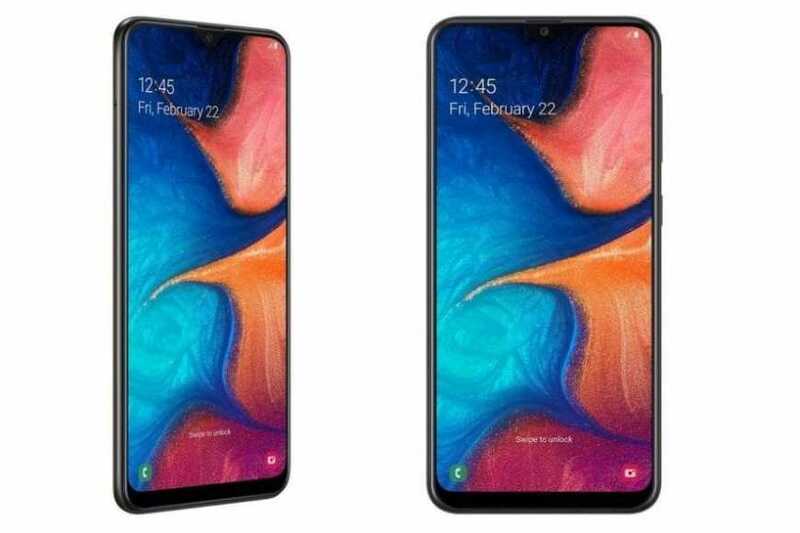 For wireless connections, the Galaxy A20e has Wi-Fi 802.11 b/g/n, Wi-Fi Direct, Wi-Fi Hotspot, Micro USB 2.0 for charging and transfer of files. There’s GPS, A-GPS, GLONASS, BDS for navigations. The Samsung Galaxy A20e has a nonremovable battery capacity of 3,000 mAh without fast charging technology. On the price, the smartphone is selling at a price of $169.